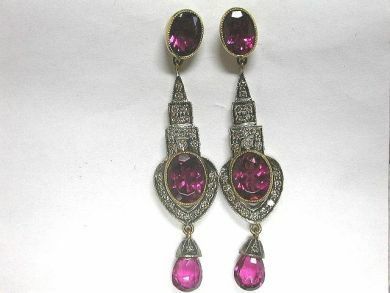 18 karat yellow gold with silver top tourmaline earrings. Six pink tourmaline (6.52 carats: Deep intense purplish-red colour). Forty-eight round brilliant cut diamonds (0.66 carats: SI clarity: M-N colour).